Barb fans beware; an extensive review of South Asian Puntius spp. published in the latest volume of ‘Ichthyological Exploration of Freshwaters’ has resulted in a large portion of the genus being split up and many species placed in different genera. Though long-anticipated in ichthyological circles this is likely to generate a degree of confusion for aquarists since many of the fishes affected are popular in the hobby. It’s all a little complex so we’ve put together this handy mini guide to help explain the new groupings. What’s happened, and why all the changes? Basically, formerPuntius species from sub-Himalayan South Asia have been reorganised into five genera, three of which are new, meaning most of them now have different names. This was necessary because Puntius has been considered a polyphyletic grouping, i.e., it was composed of several distinct genetic lineages which had initially been grouped together due to similar morphological characteristics. They’re now known not to have descended from a single, common ancestor, so some reorganisation was required. 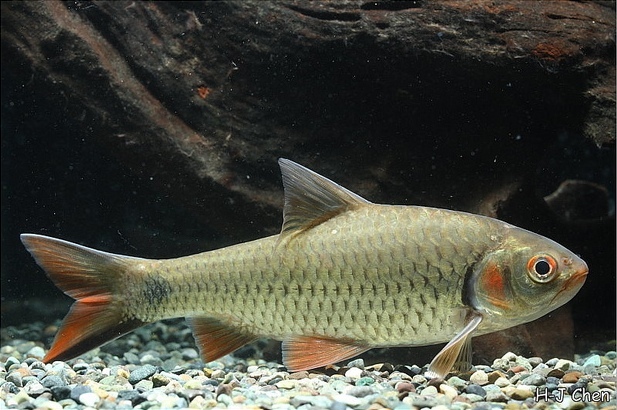 A combination of detailed morphological, osteological, and genetic methods were used to compare 30 putative species of Puntius to each other and 9 species from 6 other cyprinid genera. The new classifications are based on the results of these analyses. What are the new generic placements and how are they told apart from one another? Puntius sensu stricto is now restricted to those species lacking rostral barbels, with the last unbranched dorsal-fin ray weak or strong but always smooth, and a complete lateral line with 22-28 pored scales. Species included are P. chola (Hamilton, 1822), P. dorsalis (Jerdon, 1849), P. kelumi Pethiyagoda, Silva, Maduwage & Meegaskumbura, 2008, P. layardi (Günther, 1868), P. mahecola (Valenciennes, in Cuvier & Valenciennes,1844), P. pugio Kullander, 2008, P. sophore (Hamilton, 1822), P. terio (Hamilton, 1822) and P. thermalis (Valenciennes, in Cuvier & Valenciennes, 1844). 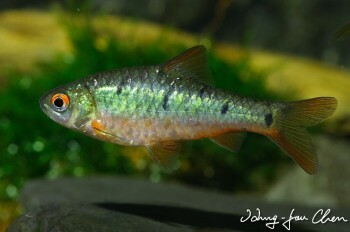 Included on a tentative basis are a number of other South Asian species which share the basic (external) diagnostic characters though only one, P. sahyadriensis Silas 1953, is well-known in the aquarium hobby. The two-spotted barb, P. bimaculatus (Bleeker, 1863) and cherry barb, P. titteya Deraniyagala, 1929 also share these characters and are retained despite differing from all other Puntius in lacking a postepiphysial fontanelle and possessing only 7 branched dorsal-fin rays. P. denisonii and P. chalakkudiensis will probably be placed in a separate genus later but are also retained because no specimens were examined in the study. 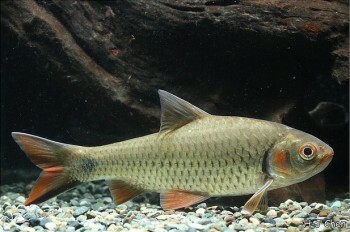 In 1996 Walter Rainboth proposed that some Southeast Asian Puntius species should be referred to the genus Systomus, a grouping first erected in the 19th century of which members were characterised by possession of a serrated dorsal spine, the presence of 2 or 4 barbels and less than 12 gill rakers. 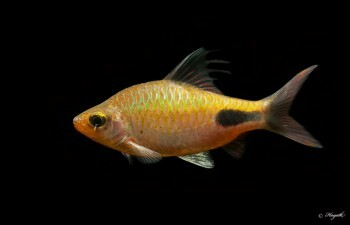 Though not widely accepted in aquarium literature its use has become increasingly frequent in ichthyology with a number of species routinely referred to under the name and some recently-described taxa assigned directly to the genus. In the new study Systomus is applied to species possessing both maxillary and rostral barbels, a stiffened (osseous), serrated last unbranched dorsal-fin ray, and a complete lateral line with 27-34 scales. Species included here are S. asoka (Kottelat & Pethiyagoda,1989), S. compressiformis (Cockerell, 1913), S. jayarami (Vishwanath & Tombi Singh, 1986), S. martenstyni (Kottelat & Pethiyagoda, 1991), S. orphoides Valenciennes, in Cuvier & Valenciennes 1842, S. pleurotaenia (Bleeker, 1863), S. sarana (Hamilton, 1822), S. spilurus (Günther, 1868) and S. timbiri (Deraniyagala, 1963), plus an undescribed fish referred to as ‘Puntius sp. Richmondi’. New genus Dravidia is named for the Dravidian people of southern India and is diagnosed by possessing both rostral and maxillary barbels, a complete lateral line with 18–26 pored scales, and a dorsal-fin with 4 unbranched and 8 branched rays, of which the last unbranched ray is smooth. Infraorbital 3 is deep, partly overlapping the preoperculum, and the free uroneural and postepiphysial fontanelle are absent. The nominal species included in Dravidia are D. afasciata (Jayaram, 1990), D. fasciata (Jerdon, 1849), D. kannikattiensis (Arunachalam & Johnson, 2003), D. melanampyx (Day, 1865) and D. pradhani (Tilak, 1973), though only D. fasciata and D. kannikattiensis are officially valid at present. Dawkinsia is named for famous evolutionary biologist Richard Dawkins. 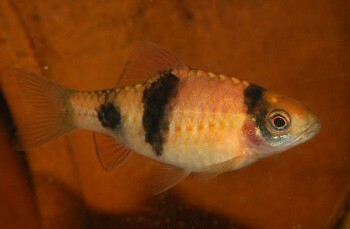 Members lack rostral barbels, possess a complete lateral line with 18-22 pored scales, and a juvenile colour pattern comprising three black bars on the body. It includes those species formerly referred to the ‘Puntius filamentosus group’ which are now known as D. arulius (Jerdon, 1849), D. assimilis (Jerdon, 1849), D. exclamatio (Pethiyagoda & Kottelat, 2005), D. filamentosa (Valenciennes, in Cuvier & Valenciennes, 1844), D. rohani (Rema Devi, Indra & Marcus Knight, 2010), D. rubrotinctus (Jerdon, 1849), D. singhala (Duncker, 1912), D. srilankensis (Senanayake, 1985) and D. tambraparniei (Silas, 1954). The third new genus is so-named because it’s the vernacular name for small cyprinids in the Sinhala language. Pethia spp. lack rostral barbels, lack or possess minute maxillary barbels, possess a stiff, serrated last unbranched dorsal-fin ray, a black blotch on the caudal peduncle, and frequently, black blotches, spots or bars on the side of the body. Infraorbital 3 is deep and partially overlaps the preoperculum. There are 23 members including such aquarium stalwarts as P. conchonius (Hamilton, 1822), P. cumingii (Günther, 1868), P. gelius (Hamilton, 1822), P. nigrofasciata (Günther, 1868), P. padamya (Kullander & Britz, 2008), P. stoliczkana (Day, 1871), and P. ticto (Hamilton, 1822), with the remainder comprising P. atra (Linthoingambi & Vishwanath, 2007), P. bandula (Kottelat & Pethiyagoda, 1991), P. didi (Kullander & Fang, 2005), P. erythromycter (Kullander, 2008), P. khugae (Linthoingambi & Vishwanath, 2007), P. macrogramma (Kullander, 2008), P. manipurensis (Menon, Rema Devi & Viswanath, 2000), P. melanomaculata (Deraniyagala, 1956), P. nankyweensis (Kullander, 2008), P. nigripinnis Knight, Rema Devi & Arunachalam, 2012, P. phutunio (Hamilton, 1822), P. pookodensis (Mercy & Jacob, 2007), P. punctata (Day, 1865), P. reval (Meegaskumbura, Silva, Maduwage & Pethiyagoda,2008), P. shalynius (Yazdani & Talukdar, 1975), P. thelys (Kullander, 2008), and P. tiantian (Kullander & Fang, 2005). ‘Puntius‘ meingangbii Arunkumar & Tombi Singh, 2003, ‘P.‘ muvattupuzhaensis Jameela Beevi & Ramachandran, 2005, ‘P.‘ narayani (Hora, 1937), ‘P.‘ ornatus Vishwanath & Laisram, 2004, ‘P.‘ setnai Chhapgar & Sane, 1992, and ‘P.‘ yuensis Arunkumar & Tombi Singh, 2003 may also be placed into this genus eventually. Are any Puntius species not covered by the review? Yes, most of those native to Southeast Asia of which only one, P. brevis (Bleeker, 1849), is a member of the genus Puntius as it’s now understood. Of the various species formerly placed in Systomus only S. orphoides is a member of that genus under its new diagnosis. The remainder require placement elsewhere and are currently classed as incertae sedis, i.e., of uncertain taxonomic placement. They’re perhaps best referred to as ‘Puntius‘ for the time being whereby the genus name is surrounded by quotation marks to denote its questionable usage, and that is the convention used here on SF. 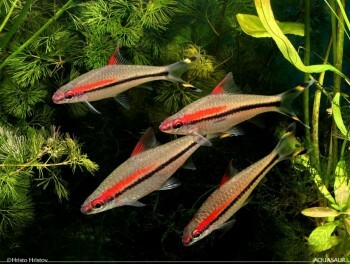 Some of these such as ‘P.‘ tetrazona‘, ‘P.‘ oligolepis, and ‘P.‘ lateristriga are well-known aquarium fishes. A revision of Southeast Asian ‘Puntius‘ species is in the pipeline and was mentioned briefly by Kottelat and Tan 2011 in their description of Systomus (currently ‘Puntius‘) xouthos. 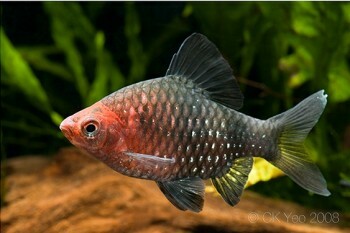 So what should I call my fish if it’s been affected by these changes, and how can I find it in the SF Knowledge Base? SF encourages the use of current scientific nomenclature so we recommend the new names are used. We’re also editing the relevant species profiles in our Knowledge Base to reflect the changes, and this process should be completed shortly. 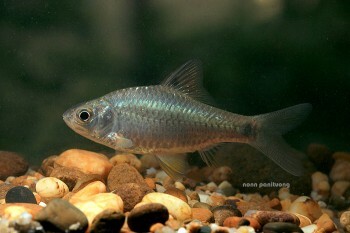 That said, it’s likely they won’t be widely accepted in the aquarium hobby to begin with, and we suspect that many fishkeepers will continue to refer to the entire group as Puntius since they appear that way in books and magazines published prior to the review, plus sweeping taxonomical changes can be difficult to accept when previous designations are so familiar. 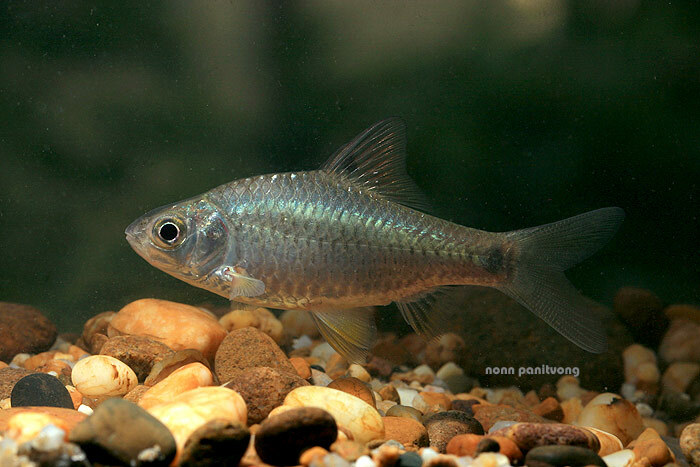 Others simply won’t be aware of the changes, or may prefer to continue the (mis-) use of Barbus or Capoeta, both valid names but now applied to other groups of fishes. In addition, new scientific combinations are rarely taken into account on trade lists. SF users can still search for them using Puntius both on the site itself and via search engines, and thanks to some technical wizardry the same results should be returned.